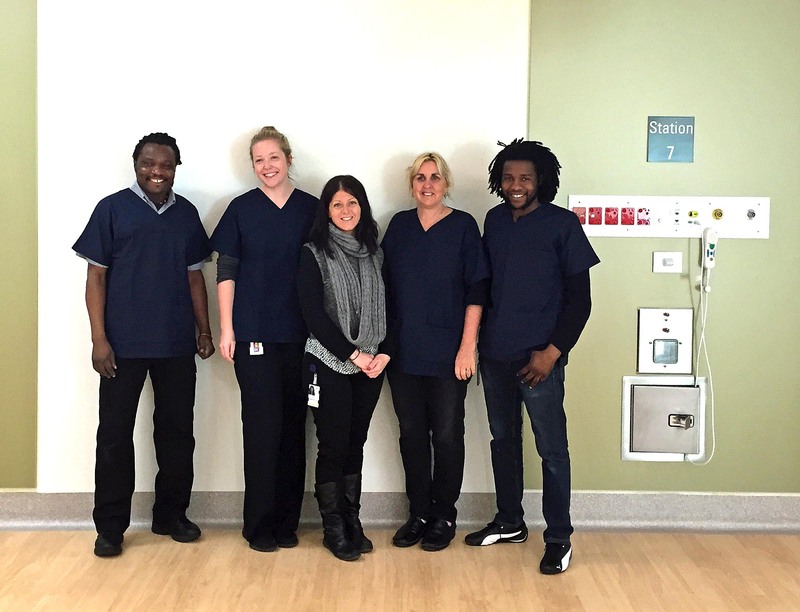 The new Diaverum Belconnen centre in the Australian Capital Territory opened on 6 July with 16 patients and seven staff. The centre is situated in the northern suburb of Canberra, conveniently located within a health centre and in close proximity to a shopping centre and transport. This bright, airy and freshly decorated 24-station centre is a collaborative effort between Diaverum, Gambro and The Canberra Hospital — similar to the setup of the Tuggeranong centre which opened in Canberra in May. There will be the added offering of a nocturnal service some time in 2016 for 12 patients at any one time. This will enhance the current services available in the ACT. In a visit to Diaverum recently, the local Minister for Health, Simon Corbell, said operating these vital services on the north and south of Canberra will provide renal patients in the region with “convenient access to dialysis, with longer opening hours and less travelling time”. Tan Chiriso, Belconnen Clinic Manager, and most of the new staff have the advantage of already knowing most of the patients. “There are a few learning curves with the new dialysis machines, but I have no doubt that patients and staff will settle in well to the new clinic,” says Tan, adding that he personally is “looking forward to delivering my very best”. Previous Post What can Diaverum do to increase the number of kidney transplants?